Qikmaps is a subscription-based online mapping service that's quick to implement, affordable and easy to use. Access detailed information for Long Day Care Centres including Demand Drivers and Demographic Statistics. 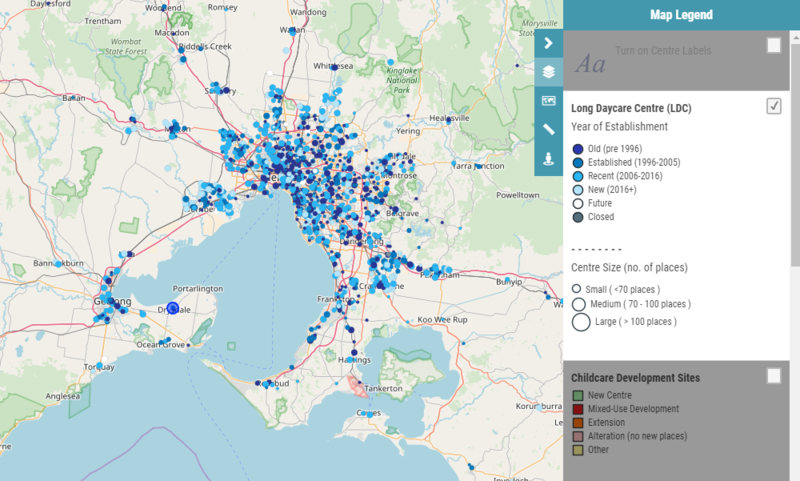 Qikmaps for Long Day Care is a ready-made mapping platform and research tool tailored to the specific needs of child care operators, developers and investors. It's used by the leading names in Childcare in Australia to research potential development sites and reveal opportunities in the market. Qikmaps for Aged Care and Retirement is a ready-made mapping platform and research tool designed for aged care operators, developers and investors. Quickly identify new Aged Care and Retirement living opportunities across Australia. Access detailed information for Aged Care and Retirement facilities, including Demand Drivers and Demographic Statistics. Contact us to discuss your requirements and let us show you how we can tailor a qikmap for your needs. Conact us to discuss how Qikmaps can benefit your business.